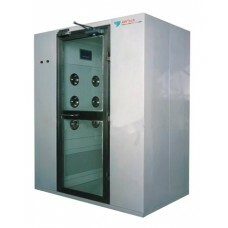 Air Showers are self-contained chambers installed at entrances to cleanrooms and other controlled environments. They minimize particulate matter entering or exiting the clean space. Personnel and materials entering or exiting the controlled environment are "scrubbed" by high velocity HEPA-filtered air.